United Way of St. Catharines and District along with MP Rick Dykstra presented a cheque for $50,000 from funds raised at this summer's Hockey Night in St. Catharines to the Steve Ludzik Centre for Parkinson's Rehab. A cheque in the amount of $85,311.14 was also presented to the Parkinson's Centre by Steve Ludzik and Rick Vaive from the proceeds of Ludzy's Golf Tournament and Roast. “I am delighted that Hockey Night in St. Catharines, supported by the people of our community, is able to contribute to fund the Steve Ludzik Centre for Parkinson's Rehabilitation,“ says Rick Dykstra, MP for St. Catharines. “That we are able to be here today is the result of the hard work and dedication of a great many people and I am honoured to be a part of it." The Parkinson's Rehabilitation Program, housed at Hotel Dieu Shaver Health and Rehabilitation Centre, is a unique time-limited six week program that uses an evidence base approach to improve the functional abilities of individuals living with Parkinson's disease. The Steve Ludzik Parkinson's Program assists clients to identify goals related to improving depression and/or anxiety, strengthening their voice, improving bowel and/or bladder control, and increase their knowledge of Parkinson's disease and medications utilized to manage their symptoms. The Program is one of a kind in Canada and is funded through private donations. “Hotel Dieu Shaver staff are tremendous and the program has surpassed my expectations in every way," says Steve Ludzik. “With 47 individuals successfully finished the program since its inception last year, we hope to continue to raise funds to lower the three year waiting list." 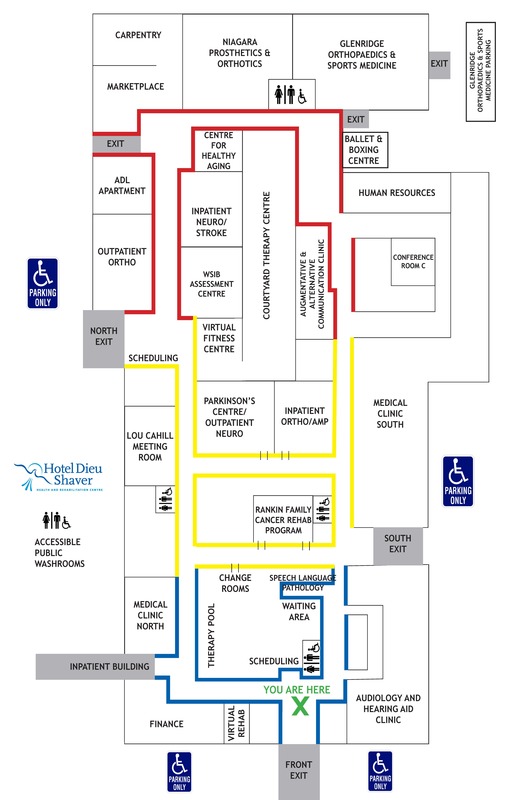 Donations to the Steve Ludzik Centre for Parkinson's Rehab can be made at Hotel Dieu Shaver Health and Rehabilitation Centre. Or, learn about more ways to donate.